But, as against this, such thinkers as Socrates, Plato and Aristotle had severe criticisms of fifth century BCE direct democracy. Basically, they complained that the people were fickle, indecisive, ignorant and easily swayed. The business of government is a fine art, which requires wisdom, judgment, expertise and experience, which are not in the gift of all citizens. This observation cuts even deeper in today’s dirigiste, welfare-regulatory states, which hold complicated societies and populations, who, it must be said, have much more than bread and circuses to distract them. Accordingly, they preferred the system which has come to be called, in the title of a classic text on the subject, ‘Representative and Responsible Government’ (AH Birch, University of Toronto, 1969). This title captures concisely the two features of the form of government utilised in many constitutional democracies? Decisions are taken by representatives of the people (ministers) who have been elected as the persons to take the decisions, as and when they arise; rather than on the basis of the particular way, in which each decision should be taken. These representatives have the justify their decisions, by detailed argument, in a public forum of elected representatives. 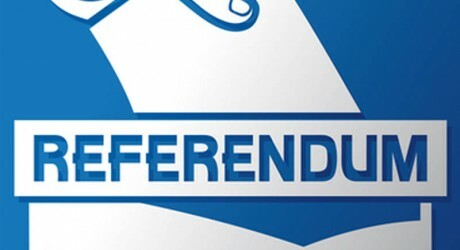 The two states, the UK and Ireland, mainly drawn on in this short blog conveniently illustrate many of implications, positive and negative, of the use of referenda. Despite sharing a common trunk, in that Ireland was a British colony until 1922, these two states constitute examples of what may be regarded as the opposite poles of the spectrum of written-unwritten constitutions. The UK is virtually unique in having no written constitution. Pretty well its strongest tenet is the sovereignty of Parliament, which one might say, makes a virtue of the fact that almost any of its principles may be changed by simple majority in each House of the legislature. So, if the UK has, justifiably, adopted the device of referenda, plainly the referendum is an idea whose time has come and no one can reverse the tide: the most one can do is to suggest that it should be thoughtfully channelled. By contrast, Ireland offers a rather typical case of a state subject to a written constitution, which, as we shall see, is difficult to change and is protected by judicial review of unconstitutional laws, enforced by an activist judiciary. The Constitution (Arts 46 and 47) stipulates that any amendment requires a referendum. The UK has been brought into this blog largely because it offers what, in my opinion, are uncontroversially justifiable uses of a referendum. It is suggested that, as the Irish constitutional system is operating, at the moment, it offers an example, though one which is inevitable given the present terms of the Constitution, of the over use of the referendum. There is a particular feature, which is likely to substantially increase the number and political significance, of referenda, in the coming decades. 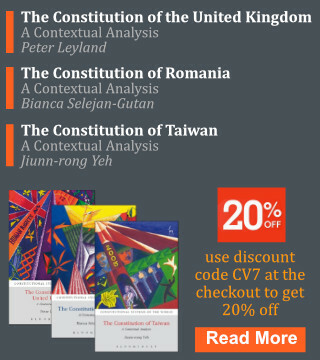 This is the constitutional changes to the position and character of the sovereign state, which are likely to be necessary to meet the growing challenge of such usually international challenges as: climate change, terrorist activity, cross-border financial chicanery and the control of the various forms of IT. The biggest example of this wave, which we have seen as yet involves the European Union and so we are focussing on these. It is not surprising that some of the most significant referenda have centred on EU membership: on the one side, in their opening provisions, national constitutions usually hail the sovereignty of their country; on the other side, the EU is a (qualified) affront to state sovereignty. Accordingly, it seemed natural that, under the Irish Constitution, Arts 29.4, 46 and 47, entry into what, in 1972, was not yet called the EU required a constitutional amendment. This provided that EU measures should be made immune from constitutional challenge. The referendum to effect this change was carried by a strong majority. But then the EU started to evolve in ways undreamt of, in 1972. This development led to the Supreme Court case of Crotty  IR 713, brought by an opponent of the EU. This case arose out of the Single European Act, a Treaty which extended the EU, by giving it a competence in the field of foreign policy. Now granted that, when the Irish people’s voted to join the EU, they were, in effect, buying a ticket on a train which, they ought to have known, was likely to gather speed. But they could not have been expected to know that what had started off as a customs union was going to sprout wings and acquire a foreign policy competence. Accordingly, the Supreme Court held that the SEA was not within the scope of the immunity put into the Constitution at the time when Ireland joined the EU. Another referendum was held and another amendment passed in order to enable Ireland to remain within the EU, as extended by the SEA. What might, in view of the unwritten character of the British Constitution, seem more surprising is that in the UK, too, the EU membership has led to, at least, one referendum. Put briefly, in1973, a Conservative Government took the UK into the E U, without a referendum. But the next, Labour government was divided on whether to remain in the EU. Party peace was made and the issue of ‘Europe’ resolved (at any rate, for two generations), on the following basis. The terms of British membership were renegotiated. On the basis of the slightly modified terms, a referendum was held on whether to remain in the EU. While the vote could not be made legally binding, the Government and Parliament indicated that they would act as indicated by the result. British membership was affirmed by a two to one vote. The important point for present purposes, is that it was accepted on both sides that, because of the constitutional character of the issue (as distinct from a question of policy), consulting the People at a referendum constituted a higher authority than the legislature. In addition, this novel process did not require the involvement of the political parties, as such. This was convenient since each of the major parties happened to be divided on the substantive question. Something similar seems likely to happen again. By today, the EU is again perceived as being unpopular in the UK., though mainly, this time in the Conservative Party. Accordingly, the Conservative Government has promised that, if it is re-elected at the forthcoming general election, in 2015, it will, once more, renegotiate fresh terms for membership. A referendum as to whether to leave or remain, on the new terms will then be held in 2017. The EU seems to me to be singularly apt -subject matter for a referendum (subject to the point made earlier about the unnecessary number in Ireland). And the same could be said about the UK referenda, in connection with dividing the country of which there have been a surprising number in the past decade or two, with the Scots independence referendum of 2014 being the most high-profile example (McEldowney, op cit). It would be rather difficult within any reasonable space limit to explain the substance or merits of these amendments or proposals. Nor is this necessary here given that what we are discussing is not the merits, but whether a referendum is required, in making a particular amendment. On this basis, the following comments may be offered. In the first place, abolishing the Upper House of the Legislature or the Citizens’ Initiatives for influencing parliamentary business are major changes to the system of government and would certainly warrant the attention of the people at a referendum. On the other hand, the change to the age qualification for the (largely honorific) presidency is unlikely to be of practical importance since it is hard to imagine anyone below 35 building up the necessary reputation to credibly run as a Presidential candidate. Next, as regards Gender Equality, the significant point is that there has certainly been a huge and steady improvement in the position of women, social, economic, political, legal and in every other way. This has been going on steadily over the past two or three decades . To mention it in the Constitution as an express state aim would probably be of some symbolic value and of some use in covering any corners of the legal or administrative system which had escaped the rising tide. But there seems to me to be no way in which such an amendment could be regarded as major. The People who would be expected to vote on such an amendment might well retort that they were being asked to vote on whether they wished to lock the stable door after the horse had bolted. Something similar could be said in regard to the Amendment regarding Children’s rights. At this point, I ought to anticipate a possible counter-argument to this line of thought. This is simply to say that, the fact that there have been all these legislative changes does not affect the Constitution: it could still be that some or all of the changes are unconstitutional (when set against the unamended Constitution, as they naturally would be). This is correct, as a statement of law. But we are not focussing on law here, but on the different (and quasi-political) question, elaborated below, in the ‘Concluding Comment’, as to ‘whether [or not] the will of the people ought to be ascertained by Referendum.’ In the light of this, my contention is that, in determining whether a referendum is necessary, it would be appropriate and legitimate to draw upon legislative, political, administrative and societal changes, since the Constitution was adopted in 1937. These amount a form of constitutional acquis, which ought, realistically to be taken into account in interpreting the Constitution and, especially, in understanding such open and general provisions as the equality provision in Art 40.1. In addition, relevant here is the following notion: ‘…the rights given by the Constitution must be considered in accordance with concepts of prudence, justice and charity which may gradually develop as society develops, and which fall to be interpreted from time to time in accordance with prevailing ideas’ ( Healy  IR 325,347). As regards Blasphemy, its substance has been effectively scooped out of it by organic legislation in 2010. This first changed the law so as to catch insults not alone to the Christian faith but, secondly, significantly narrowed the offence, in order to make it much more difficult to secure a conviction. In short, to remove blasphemy (for which, there has been no prosecution at least, since Independence) from the Constitution would simply be to confer a death certificate, in respect of a demise, which had occurred many decades ago. Finally, as to the amendment to enable judicial pensions to be reduced, those who opposed this on the merits claimed it would infringe the Independence of the Judiciary; those (like the present writer) who supported the amendment considered that it would merely alter the terms and conditions of the judiciary, to meet the economic emergency, in the same way as had happened elsewhere in the state service. Thus the opponents of the amendment would have characterised these Amendments as major and its supporters as non-major. Proceeding from the basis that there are both major advantages and disadvantages with the referendum, it is suggested that a referendum should be required only for the most significant amendments. If one accepts this premise , then it leads on to a major practical difficulty. This is: in respect of any proposed amendment, how is it to be uncontroversially determined whether a referendum is or is not required. This is a hugely practical question since any new system which removed the requirement of a referendum in respect of less significant amendments, would naturally be open to suspicion. Specifically any opponent of a measure to amend the constitution would claim that it was important enough to warrant a referendum and that if one was not required, this was the product of chicanery by the political establishment. This line of criticism might be met by a requirement that where no referendum were required, the bill to amend the constitution would need to be passed by a specially high majority, for example two-thirds of the legislature. However, in many states even the major opposition party, whose members’ votes would be necessary to make up the high majority, would be regarded as part of the political establishment. Thus requiring a specially high majority in the legislature would draw only some of the poison. Accordingly, the proposal for a changed process for constitutional amendment advanced here would stand or fall on the basis of how robust would be the process for classifying a proposed amendment as genuinely requiring\not requiring a referendum. But most lawyers that the important factor would not be the form of words but the person or office which would apply the test . In American-ese, this would be where the rubber met the road.’ Who, then, should bear this onerous duty? In the first place, I would not consider any member of the judiciary for this delicate task on the simple basis that it would be too political. In addition, the judiciary might be involved in litigation arising out of other aspects of the amendment process ( as quite frequently occurs in the litigious polity of Ireland). But, it happens that, under the Irish constitution there is as head of state, a President who is almost entirely honorific, yet is elected by the vote of all citizens, usually after a hotly-contested campaign. This almost unique combination means that the president is usually trusted and respected by almost all Irish people. In line with this, the Constitution gives the President, in addition to his honorific functions a few discretionary duties, to which has been given the collective title of ‘Guardian of the Constitution’. This journalists’ term refers to the fact that at these specified points the president may be called upon to defend the Constitution, even as against the Government ( something which has seldom actually happened). As an example, one of the duties which makes up this role is ,that if requested to sign into law a bill that he/ she suspects of being unconstitutional, instead of signing the bill, the president must refer the bill to the Supreme Court, for its constitutionality to be authoritatively determined. In his role as Guardian the President must be trusted by the people, to be impartial and independent of the government or of anyone else. It seems to me that (as was the case, during the early period of three years, mentioned above), the President would be a suitable person to exercise the discretion of deciding whether the constitution amendment is so substantial as to require a referendum.